I was wondering if it's possible to rewire the cruise control buttons on my factory steering wheel to control my radio volume on my aftermarket head unit. I have a 2006 mustang, and an App Radio 4 head unit. I don't need to maintain the cruise control function, as I never use it. I believe the head unit has extra wires in the harness for this, so how do I tap into the steering wheel controls? I did this in my '05 F150. I used a wiring diagram to find the two wires for the switches and cut them. Then I connected one to ground and the other to a steering wheel control adapter (Pac SWI-PS). The adapter I used works with a Pioneer AVH-X3500BHS; make sure the one you buy is compatible with your head unit. Where can I find the wirin diagram for the S197 steering wheel, and how do I access the wires? I see that I'd have to get the proper adapter, thanks. So only 1 wire total would go to the adapter?? One wire goes to the adapter and the other goes to ground. You can get the wiring diagrams (and service manual) here: http://iihs.net/fsm/?dir=0. The speed control diagram shows the two wires as being black and tan with an orange stripe; look for these under the steering column. To verify you have the right wires, you can connect a multimeter across them and check for the resistance to change as you press the different buttons. I don't see any obvious wires exposed under the steering column. Do I need to take parts off to access them? I've searched for related threads that might show pictures but have had no luck. Also, crutchfield points me to this RFASWC universal control adapter, with buttons that strap to the steering wheel. Since I want to use the CC buttons, I don't think that is the adapter I want, correct? Do I want one of the PAC SWI harnesses? Last edited by kevsgt; 01-26-2016 at 11:57 PM. Correct, you would want an adapter that uses the existing buttons (like the Pac SWI-PS). You may have to remove the lower half of the steering column cover or the dash panel in the knee bolster area to see the wires coming off the closkspring. If you don't want to cut the harness going to the clock spring, you can use the led connector from a pc computer tower. I used 2 of these on my. I have an appradio 3 with the pac adapter although I installed a boss 302 steering wheel on my 07 GT. That wheel has radio buttons already so I was able to do both. I'm sorry but your comment is confusing. Is the led connector some sort of wire splice connection? And do you recall what pac adapter you got? This is the adapter I used. It's a metra. 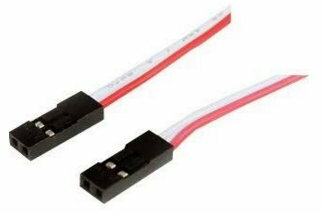 These connector to the clock spring very easily and are much cheaper than the ford harness. Since you only need one wire from the buttons this 2 point connector should be enough. Ok I google searched that image, and it appears to be a cable with a 2-Pin IDC header connector on each end. Are you saying that this can connect directly to the clock spring? According to the wiring diagram, there is a (tan with orange stripe) wire that goes from the clock spring to the PCM. I should remove that, and plug one end of this cable into the clock spring and then the other end to my new head unit adapter?